Contrary to popular belief and accepted conventional wisdom, search engine optimization should be done before you write one line of code. After all, a big part of SEO is actually marketing - in this case, you're marketing the Web site to search engines. 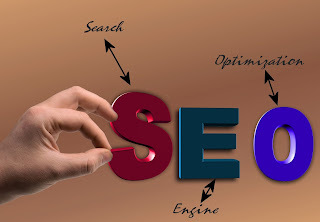 And the best way to market to the search engines is to market the Web site to your potential visitors and customers. So how do you do that? Pick a topic you want your site to discuss (or a product/service you want your site to sell). Plan out the major sections of the Web site (home, about, news, contact, and so on are good places to start). Write the content for the pages and sections of the site bearing in mind what keywords you want to target. If you don't know how to do this, go to your local public library and borrow a copy of "Web Copy That Sells" by Maria Veloso. When you're done writing the content of each page, look at the content and see how much of the "fat" you can remove. Users generally prefer text that is short, sweet and gets right to the point. If you're going to be talking about items in a list, use a list (as I am here). When reducing your page content, make sure you keep the content as naturally flowing and organic as possible, without shooting yourself in the foot or removing any keywords you want to target (remember to keep the keywords relevant to the topic you're writing the page about or the product/service you're promoting, reviewing or trying to sell - again, "Web Copy That Sells" by Maria Veloso will show you how to do this). Review your page content again. By now it should be short, sweet and to the point. Your visitors will thank you (since they don't sit down and read, they skim), and if your keywords are still blending in with the content, then you're 1/3 of the way there. Once that's out of the way, and you've chosen how your Web site will look (which fortunately has NOTHING to do with the search engines), you will have to focus on the site's development. It doesn't matter a bit if you use static HTML, XHTML, PHP, ASP, Perl, Python, etc. All a search engine sees is the (X)HTML and the text content. Search engines have gotten better at indexing .pdf files and are now starting to be able to index Flash files, but for the purpose of this post I'm going to concentrate on plain old (X)HTML. So let's get started. First and foremost, use the least amount of clean, semantic and valid HTML markup possible. Web pages follow a natural flow order of header, menu, content, sidebar(s), and footer. Structure your Web pages like this whenever possible. While search engines may not care if your pages are constructed with semantic markup or layout tables, your users will benefit from the use of semantic markup (since it'll be easier to access the page from a Web browser, screen reader, mobile phone, PDA, or whatever comes along in the next few years) - and it'll mean less work for the search engines as well (piggy-backing on the "human effect"). While really not a tip, I have to say this anyway; following the advice in the previous point will also help ensure that your pages load quickly (especially for dial up users). Which is a bonus, since if the page loads quickly, you won't be wasting as much time getting the visitor's attention (meaning you'll be more likely to keep them at your site longer - which can easily lead to conversions of regular repeat visitors or even customers); this can lead to other sites linking to yours later on (it also makes it easier for the search engines to get to the chewy content goodness in your pages as well). Validate your code. This really isn't an SEO trick, but a page that is error free will be easier for the user agent (whether it's a browser, cell phone, PDA or search engine spider) to deal with than an error-ridden page. Use headings appropriately (again with the semantics!). H1 is for the page title, not the site title. Don't use more than one H1 heading per page. If you think need more, then that means the page in question by ranking well. I know I'm beating a dead horse here, but don't forget about semantics. If you have only a sentence or two, don't use a <p></p> element block to mark it up (as always there are exceptions, for example if you have blocks of paragraphs and one of them happens to be only a sentence or two). Either leave it alone, or use something more appropriate (depending on the situation, it may either be a DIV or a SPAN). Mark up your menus (and other lists of links) as unordered lists. When adding classes and IDs, keep the semantics in mind. Just because your sidebar may be on the left today doesn't mean it will be tomorrow (if you change the design). So don't use "left-column" for your sidebar, just use "sidebar" instead. If your sidebar contains nothing but advertisements, mark it up as "advertisements" or "ads" instead. As for the menu, I prefer to identify the list menu (the main site navigation) as "menu" rather than "nav" or "navigation". There are some common "SEO Myths" that the crackpots and frauds will try to sell you on (like with the rest of their snake oil offerings - which are just that - snake oil). Some of the leading ones are "content first page design" "multiple H1s per page" and keyword stuffing. Let's look at these real quick and find out why they're about as reliable as spreading butter on a fresh burn wound. Content First design centers around keeping the page content as close to the top of the Web page as possible. While I don't disagree that this can help the search engines (it does - as I've said before in other threads), what "content first" in this sense does is puts the page content (what you read) before the menu - sometimes even other page elements like the header (which, along with the menu, should be the only things between the content and the top of the page, unless you want to include helpful links like those to a site map, FAQ or help page, or a search box). Yes, the search engine spiders will have to go through the links to get to the content, but as long as your menu isn't as long as the Brooklyn Bridge, it won't matter since the search engines will still get to the content and index all of it anyway (which is doubly true if the page content is short, sweet, and to the point - which I talked about earlier). Warning: PageRank is a moving target - what was written here today may not be true tomorrow or next week. use it as a baseline and conduct your own research afterwords. Heck, I may have even gotten a thing or two wrong here (I'm only human afterall). Speaking of links, don't forget that PageRank is all about links. Google has a preference for natural links (like the one I gave in the above paragraph) and will give them more weight if used properly. The more natural links pointing to your Web page, the higher your page rank will probably be. The more links pointing from your page to other pages, the lower your page rank will most likely be. Ideally, you want MORE links pointing to your page than you want pointing out. Bear in mind this works for EACH page, not your whole site or domain. Google doesn't care about your whole site's PR (which doesn't exist) - it weighs pages, not sites, after all. One thing I like to do, and this has far more to to do with usability than search engine optimization (the search engines will benefit from the human-first approach, which confuses many people and convinces them that the search engines prefer this method when they really don't care either way) is to include natural, relevant links to other pages of my Web site in my page content. I'm not talking about the menus, or a site map here. I mean organic links, like the one to the PHP/SSI tutorial I wrote last year. Obviously, the link would lead to a page on my site that was related to (and relevant to) the page I'm linking from (for example, if my page is about teaching people how to review movies, and I have a review of "Pirates of Caribbean 3" elsewhere on my site, I'd probably link to the page as an example of how to write an effective movie review), rather than something totally unrelated (like vacation trips to the Caribbean). What I will be doing is giving some weight (or credibility) to the Web page I was linking to. While this will bleed some PR (PageRank) from the current page, if you link your own pages into a "web" of pages (responsibly, don't over-do it), it'll balance out in the end, and you may (doesn't mean it always will) even enjoy a net profit on your individual pages' PR before the external links to your pages start coming in. And please, for the love of all that is good, don't use nofollow on links - you're doing the owner of the page you're linking to more harm than good, so if you do, you might as well just use plain text anyway and avoid linking altogether.